Identified at all ages in flight by large, translucent pale turquoise-blue primary-patch (both surfaces) and pale turquoise-blue tail-feathers (except centrals) with clear-cut dark blue band at tip and base (seen when tail spread). Wing-tip clearly blunter than in European Roller. When perched, lightly white-streaked neck, throat and breast are vinous-cinnamon (turquoise-blue in European Roller) and cap dark turquoise-green (in European Roller, head like underparts); mantle earth-brown (pale bright chestnut in European Roller). 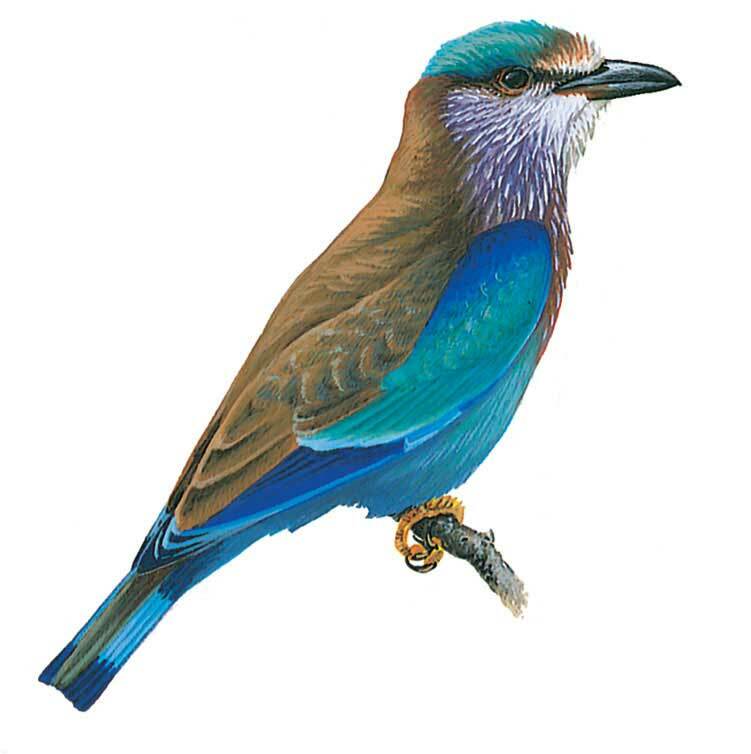 Behaviour similar to European Roller.